Join As-Suffa Sisters for your one-stop Ramadhan preparation course! With the best month of the year just around the corner, we must start planning in advance to ensure we are physically, mentally and spiritually prepared to reap the full benefits of this golden month. 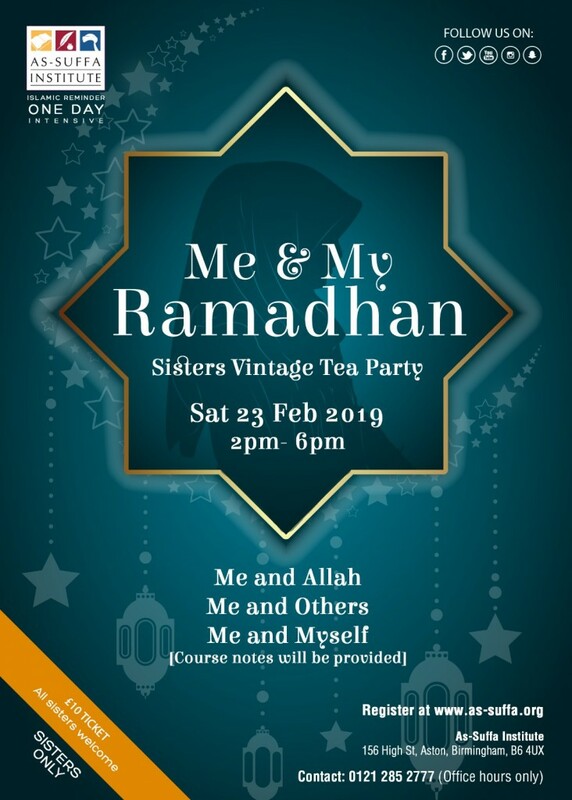 Alongside that there will be a beautiful vintage tea party with scrumptious home made treats so we can get to know one another in a comfortable ambience! Course notes will be provided. All just for £10 a ticket! A perfect Ramadhan gift for a loved one.